In August and September, Ostrogorski Centre analysts analysed developments around West 2017 military drill, progress in the Belarus-EU dialogue on human rights and increase in poverty in recent years as well as the government’s response to it. 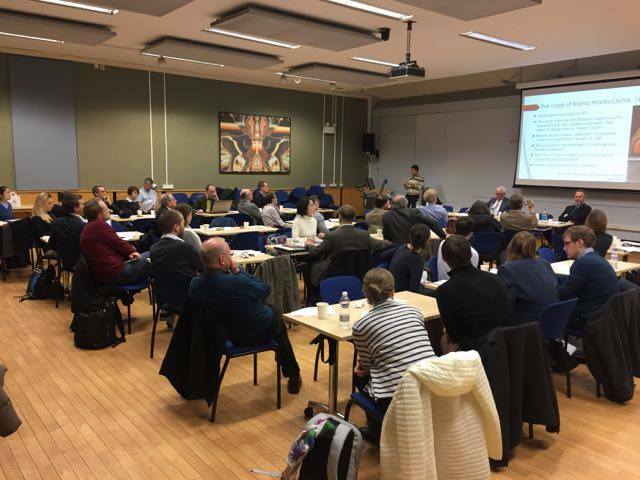 The Centre announced call for proposals The Third Annual London Conference on Belarusian Studies, which will be held on 23–24 March 2018 at University College London. We have also added new profiles to belarusprofile.com and new policy papers to Belaruspolicy.com databases. Siarhei Bohdan demonstrates how approaches to West 2017 military drill varied in Belarus and Russia. The Belarusian government struggled to reassure its neighbours, who continued to express concerns about the drills. 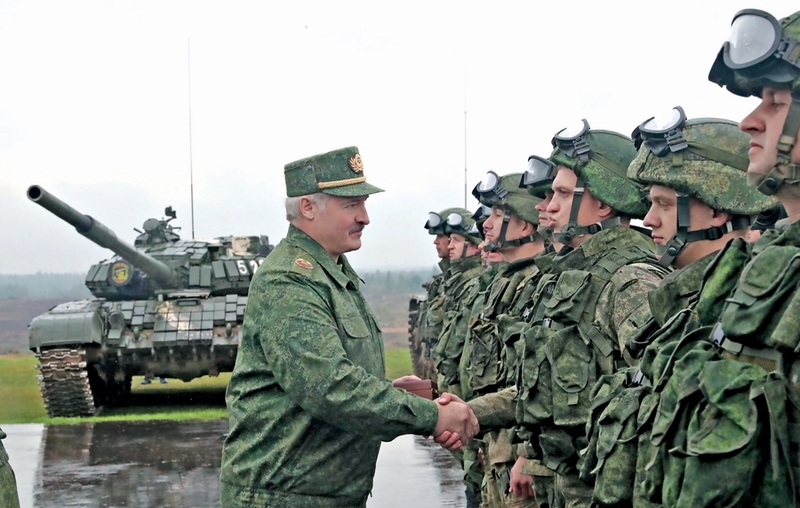 Lukashenka himself repeatedly visited Ukraine to persuade Kyiv of Belarus’s peaceful intentions. In contrast, the Kremlin craved an intimidating military show. 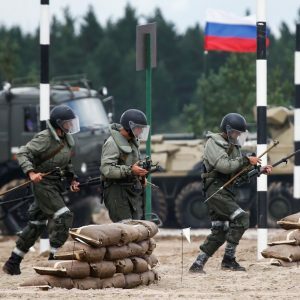 Thus, Minsk and Moscow were jointly holding an exercise which both countries saw in very different ways. It is unsurprising that their policy regarding West 2017 was vastly different. Ryhor Astapenia discusses the growth of poverty in Belarus in recent years and the government’s response to it. One of Lukashenka’s greatest achievements in Belarusian society has been his fight against poverty. However, poverty is once again on the rise. The main reason people end up below the poverty line is the loss of employment, as the state fails to provide any meaningful help for the unemployed. It seems that poverty is doomed to continue spreading, as the authorities see no way out of the crisis other than shifting the country’s economic woes onto the backs of the poor. Igar Gubarevich analyses the development of the Belarus-EU dialogue on human rights. Belarus hopes to put human rights issues on the back burner in its relationship with the West. At the same time, the country’s authorities understand that avoiding any discussion of this subject could hamper the modest rapprochement between the two parties. Meanwhile, the West continues to put pressure on Belarus in international human rights bodies, in particular the UN Human Rights Council. Only time will tell which of the two policies – dialogue or critical monitoring – will prove more effective in instigating democratic change in Belarus. Proposals will be considered on any subject matter pertaining to Belarus. This year, however, proposals relating to human rights, social media, education, the history of the Belarusian People’s Republic, Belarusian history and culture and sociology are particularly encouraged. A selection of peer-reviewed papers will be published in the Journal of Belarusian Studies in 2018. To submit a paper or panel proposal, please complete an online registration form by 15 December 2017. Successful candidates will be notified by 5 January 2018. The working language of the conference is English. There is a £10GPB registration fee associated with the conference. You may pay the fee at the door or pay online (see the registration form for details). If a speaker or delegate is unable to pay the registration fee, the organisers can grant them a waiver. Please email belauk2018@gmail.com to ask for a fee waiver. Ryhor Astapenia on Polish Radio discusses the hype around the West 2017 drills, the future of mass youth political organisations, and the possibility of political and social protests this autumn. Siarhei Bohdan on Polish Radio explains why Belarus refused to transport oil products via Russian ports even at a 50% discount. Russian ports require longer delivery time; Belarus has experience in the Baltic countries and invested in their infrastructure; in addition, it is one of the channels of cooperation with the European Union. Alesia Rudnik on Polish radio discusses the effectiveness of civil campaigns in Belarus on the example of Asmaloŭka area protection. This became not the only success story of local activists, but usually victory is possible only if the project is not essential for the authorities. In most cases, civil campaigns fail. Siarhei Bohdan on Polish Radio discusses the role of Russia and China in the development of the Belarusian defense industry. Last year Belarus exported arms worth $1 billion. This achievement is the result of complicated partnerships with major players. Russian support of Minsk in the defense industry is limited and expensive, therefore Minsk had to to seek an alternative and develop cooperation with China. The BelarusProfile.com database now includes the following people: Alieh Dvihalioŭ, Jury Šuliejka, Mikalaj Korbut, Vitaĺ Paŭlaŭ, Uladzimir Karpiak, Andrej Dapkiunas, Alieh Dziarnovič, Valieryja Kasciuhova, Piotr Rudkoŭski, Natallia Vasilievič. We have also updated the profiles of Siarhiej Hurulioŭ, Anatoĺ Isačenka, Ivonka Survila, Paviel Uciupin, Anatoĺ Kapski, Victor Prokopenia, Aliaksandr Pazniak, Jury Chaščavacki, Siarhiej Čaly, Kanstancin Šabieka, Aliaksandr Šamko, Aliaksandr Šumilin, Uladzimir Šymaŭ, Aliaksiej Jahoraŭ, Aliaksandr Jarašenka. Poverty and vulnerable groups in Belarus. Consequences of the recession of 2015-2016. IPM Research Centre, 2017. Uladzimir Kavalkin, Andrei Sushko. Electronic public procurement: evaluation of official electronic trading sites in Belarus. BIPART, 2017. Proposal of changes to the Law on Arms. Belarus Security Blog, 2017. Iryna Tačyckaja. Indicators of Belarus export activity in the 1998-2016: what are the chances for growth? IPM Research Centre, 2017. Hinnerk Gnutzmann, Arevik Gnutzmann-Mkrtchyan. The trade effect of Generalised Scheme of Preferences removal: evidence from Belarus. BEROC, 2017.